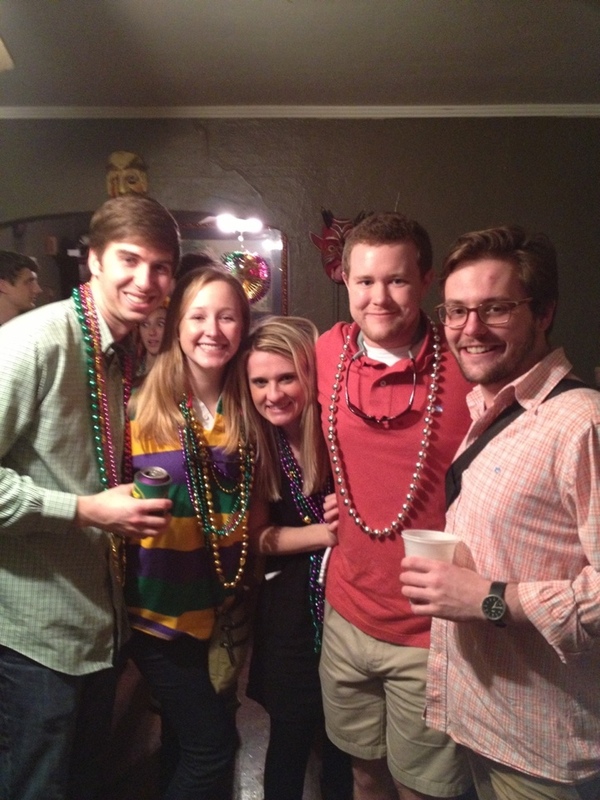 I really can't fully put into words the experiences I had this weekend in New Orleans for Mardi Gras. I'll start with a hiku that seems just awkward enough to work. Per the title let me tell you a little story that pretty much sums up the weekend. This bar, that one below with the large hole burned in the side, yeah we were there. It was SO packed I am conivinced at one point my feet were not touching the ground yet I was still moving. PACKED. At that point we called it quits and bailed. Saturday morning we woke up and Reese realized he had left his debit card inside because he couldn't get back to the bar (well that and what was bought at the bar didn't help either) . He jumped in the truck and headed to get the card. When he got there this is the scene he stumbled upon... THE BAR HAD BURNED DOWN... with his card inside. 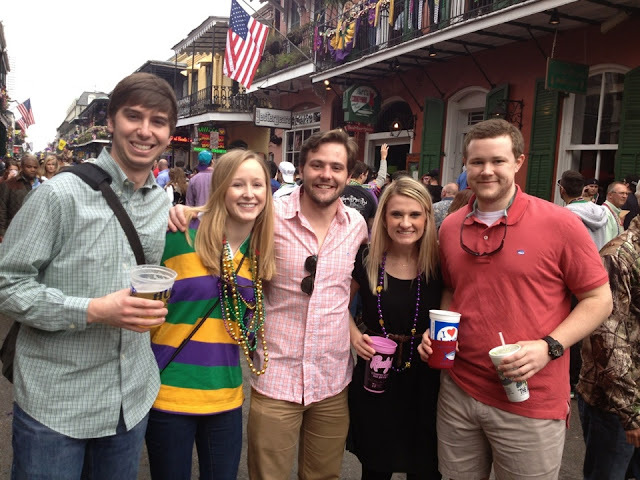 Already armed with one blogable story under our belts we set out to experience the many other adventures Mardi Gras had in store for us. 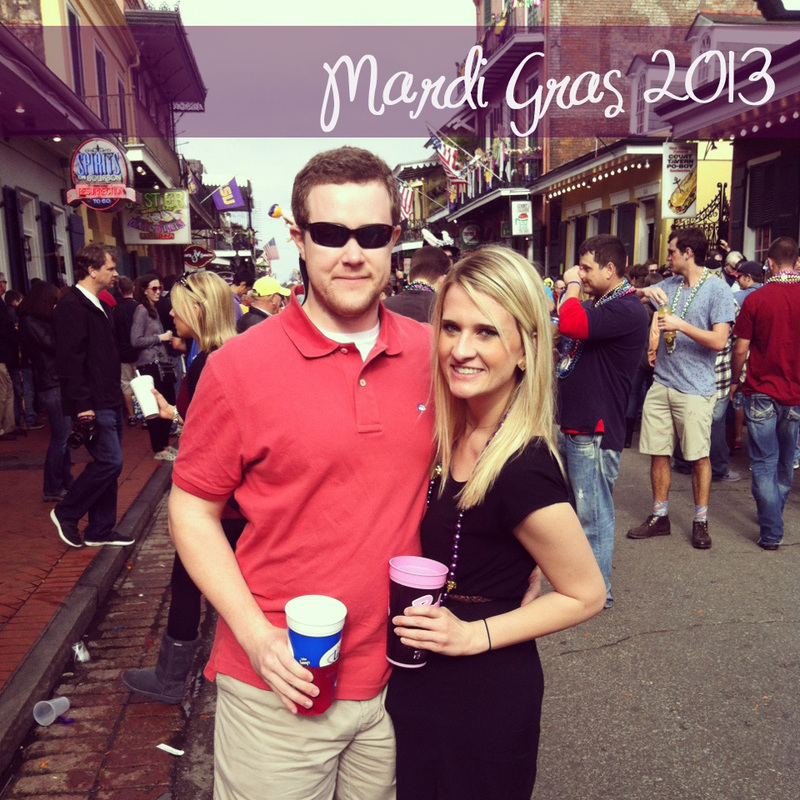 We ventured onto Burbon to experience some of the epic Mardi Gras crazy. There was plenty to be had. Longest parade float in the world-- length of a football field! The bead fueled parades were a blast. Most of the floats poked fun at pop culture-- my personal favorite being "The literal Dumbing down of America" proudly featuring a likeness of Honey Boo Boo leading the float. I couldn't escape, nor did I want to, the feeling that the whole city had virtually shut down to have a dancing-in-the-street-loving-life-celebrating-joyful PARTY. I would go back in a heart beat. THE FOOD! I had told Reese before we even left that I wanted at least one good, classic, iconic New Orleans meal. I got two. After one of the parades we ventured a few streets over, a must if you want to avoid the after parade crowds, and found a little hidden gem called Katie's. 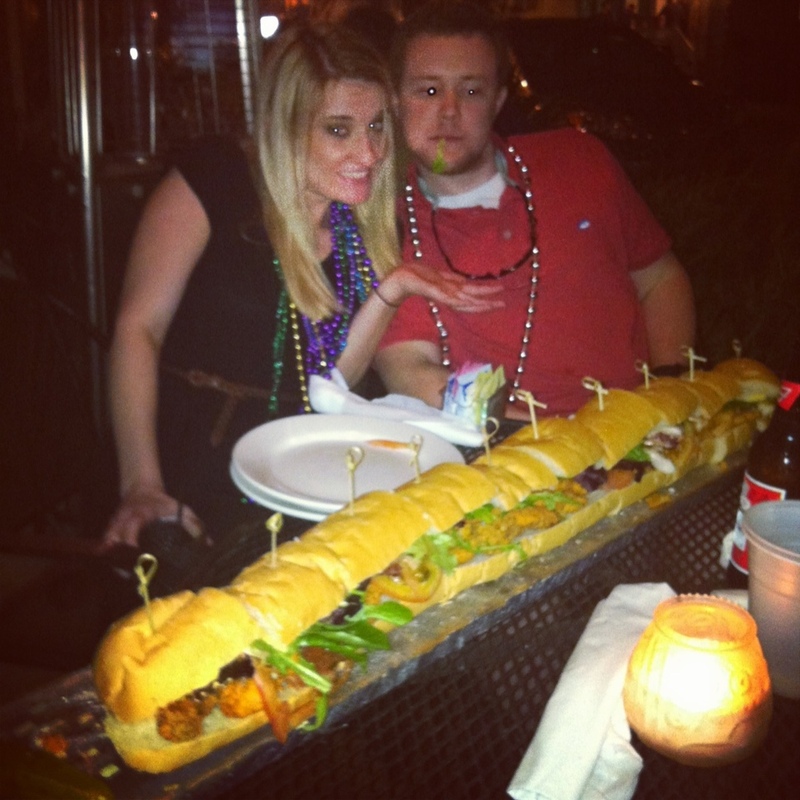 Apparently it is not actually that "hidden" because Katie's and her po'boys were featured on an episode of Diners, Drive-ins, and Dives. 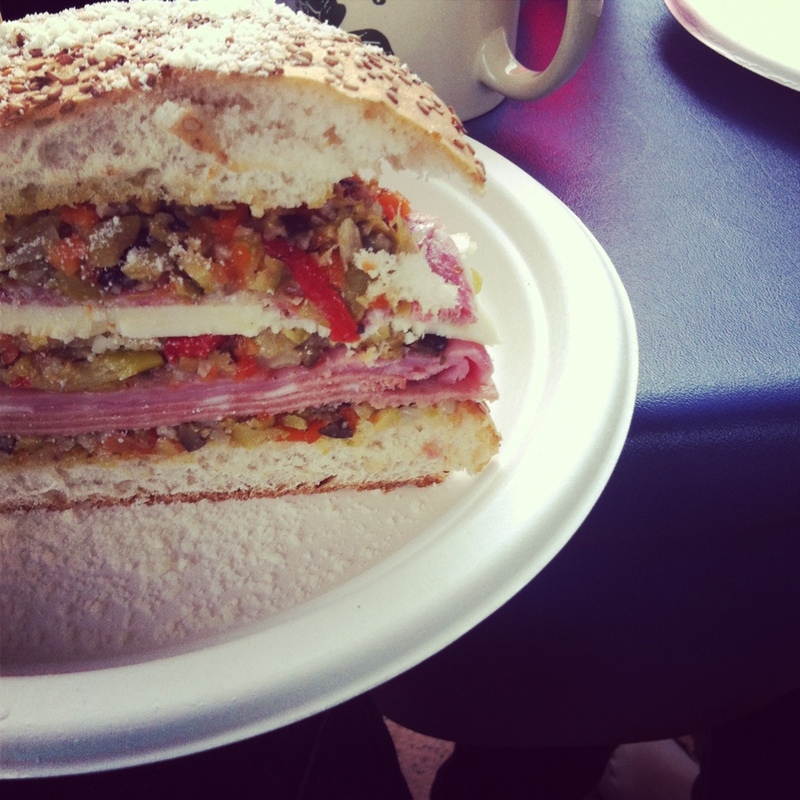 We orders and devoured the sandwich below... kinda ridiculous BUT TOTALLY delicious. You can see Guy Fieri making it HERE. My second meal came courtesy of a ridiculous two hour wait but it was one of the most delicious muffaletas I have EVER tasted. I am still a little bitter about waiting so long so my review might be a little tainted... i'll just let you see the pretty picture. 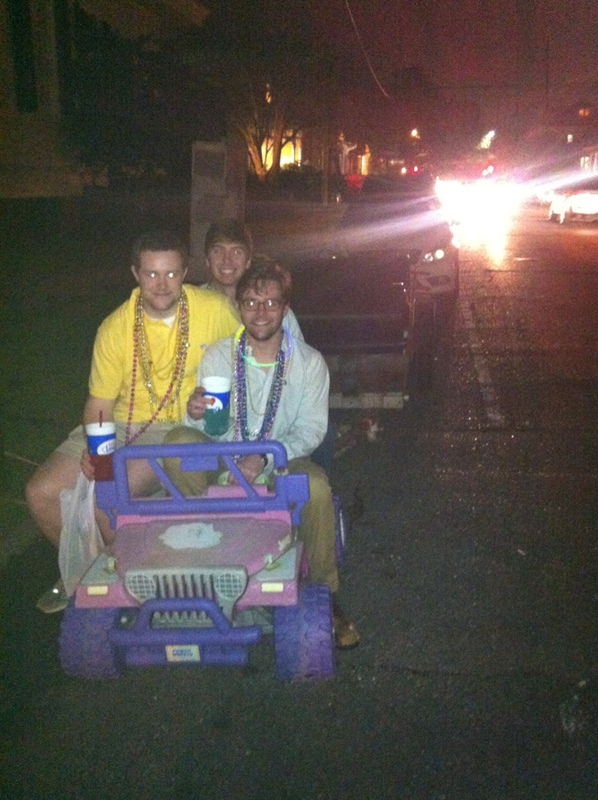 And because no good post about a ridiculous Mardi Gras weekend is complete with out a picture of a Barbie jeep pulling a trailed here ya go. Yes, that tailer is ACTUALLY ATTACHED to the jeep. Tomorrow I will tell you about our accommodations, because it is something you NEED to know about! Looks like y'all had SUCH a blast! 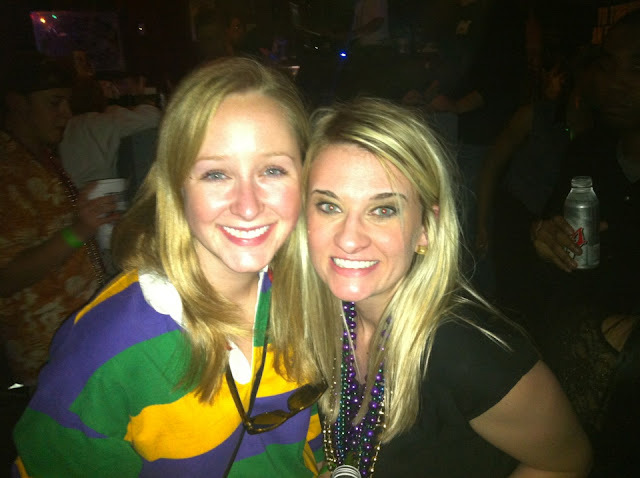 I love me some NOLA! I still haven't made it for Mardi Gras but clearly I need to! Oh goodness that looks like such a good time! Hopefully some year I'll make it there :) How far ahead of time did you have to book everything? Like... it pains me to look at your pictures! I miss home SO much! 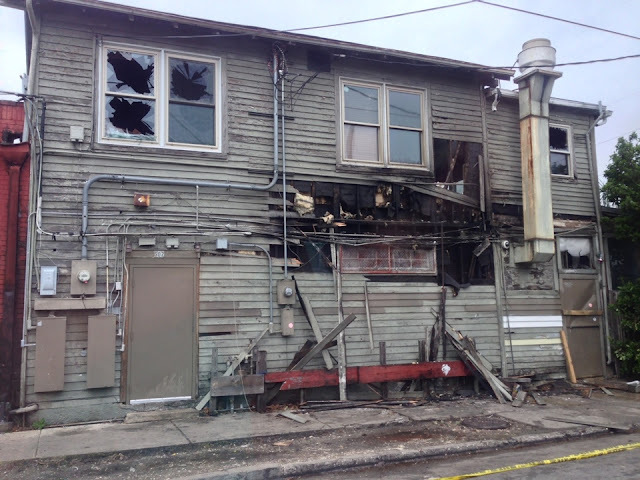 And ahhh I could not believe my beloved college bar spot F & M's burned!! When I told Joel the news over the weekend he said, "NOO...what about the cheese fries." Priorities, you see? Gosh so glad you had a blast! 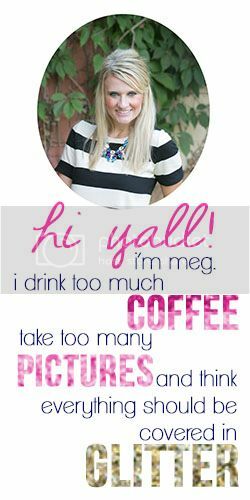 I am living vicariously through your pics! See you there NEXT year!! 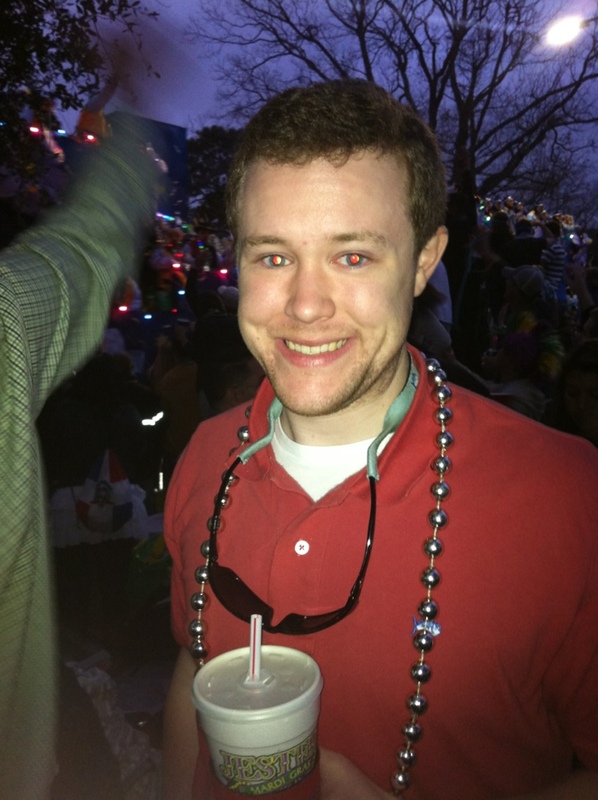 && if you loved mardi gras- you need to try to go to jazz fest. it's UHmazing! UMMMM could y'all have had a better time?! WHY WAS I NOT WITH YOU? Did Reese get his debit card back orrrr? I'm guessing not since the bar was burned down...ah. GOOD THING that didn't happen while you were in there! Wow what a trip! This looks like so much fun! PS Super glad you were not stuck in that bar with the fire!!!! wow that looks amazing!!! I've always wanted to go to NOLA for Mardi Gras. Please tell me that you didn't flash anyone.